Out of respect for my paying clients I do not give sources. If you are interested in any of the above items, please contact me directly. So pretty! 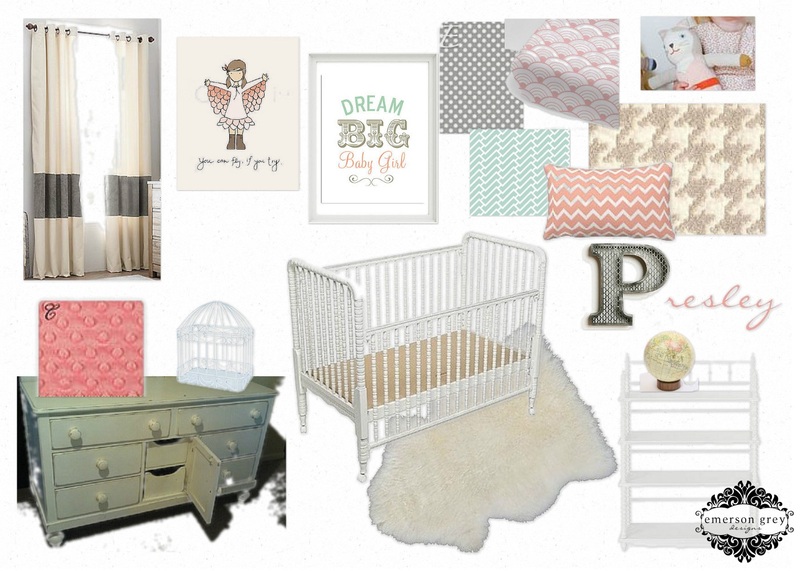 My Mia's room is coral, gray and mint and I absolutely love it!